It is no secret that one of the most common usages for cryptocurrencies is at online casinos. Many of these casinos originally only accepted Bitcoin for deposits and withdrawals, but today they have expanded to encompass many other coins as well, including Dogecoin, Ethereum and even Litecoin. Needless to say, it is expected that online casinos and sportsbooks will continue to increase their acceptance of cryptocurrencies over time. Even many mainstream online betting sites now accept cryptos for deposits, in addition to the USD and other paper currencies that they have accepted for decades. The benefits to gambling online with cryptocurrencies are obvious to all crypto owners. You do not need to provide any more personal information than is absolutely necessary, you can make instant deposits and withdrawals, and you are not prone to numerous banking or security hoops. 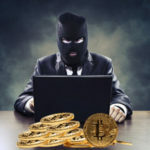 Just as gaming with cryptocurrencies online is very easy, it is also very risky. There have been a number of rogue online casinos that have come and gone, along with their users money. The biggest issue with any cryptocurrency is that, once it is sent, it is gone. If you are gambling online with your Bitcoin or any other coin, you need to be certain that you are playing at a trustworthy brand with an established reputation. Beyond research, one easy way to tell if an online casino that accepts crypto for play is if it is verifiably Provably Fair. Provably fair is a term that gained mainstream usage as Bitcoin casinos began to explode in popularity. This means that the games offered at an online casino are truly random and completely fair. These are not the same metrics that a typical online casino would need to adhere to. This very stringent set of parameters ensures that an online casino is immune from unfair or otherwise rigged games. Just because a casino is provably fair, however, does not mean that it is necessarily safe to play at. There are no shortage of online casinos who will scam you out of your deposit bonus, or make up terms to disqualify you from making a withdrawal that you should be entitled to. Because you will have little to no recourse in getting your funds back, these casinos see stealing from their players as an easy way to boost their bottom line. Avoid this trap by doing thorough research on any casino before you decide to deposit. And remember, you may find some sour losers who were not actually cheated, so use your best judgement in determining the true character of a casino. Cryptocurrency casinos have been around almost since the inception of Bitcoin itself. Naturally, one of the first inclinations for owners of this untraceable currency was to find a way to gamble. The first (and very popular) iterations of these casinos only accepted Bitcoin as it was the only real coin on the market. The casinos were very basic, and many of them only offered dice games and variations of dice games. One of the biggest and most easily recognizable dice operators is named SatoshiDice, aptly named after the creator of Bitcoin, Satoshi Nakamoto. While this brand is still around today, much has changed in the years since its inception. The first big industry breakthrough began shaping around 2012. This is when crypto currencies began to look more and more like traditional online casino clients. With that said, the world of Bitcoin was still relatively small at this time, and so too was the market share that these casinos enjoyed. Nevertheless, the brands persisted, and the Bitcoin landscape began to change as well. It was around 2013-2014 that well-known online gaming brands that historically had only accepted USD, began accepting Bitcoin as a payment method on their sites. This was further proof of BTC’s legitimacy, and the market for Bitcoin online gambling continued to expand. In the years that followed, some of these online casinos have expanded their crypto options even further, ultimately accepting Dogecoin, Ethereum, and even Litecoin in addition to their standard options. As new currencies emerge and gain favor among the masses, these too should be expected as funding methods at online casinos. While cryptos are gaining more and more acceptance, it is unlikely that brick and mortar casinos will be accepting any crypto for wagers in the near future. With that said, however, it is a near certainty that Bitcoin debit cards and other similar credit cards are being used at casinos on a daily basis. In the meantime, online crypto currencies are the go to, easy way to gamble and place sports bets online.